NEE-NAW NEE-NAW! 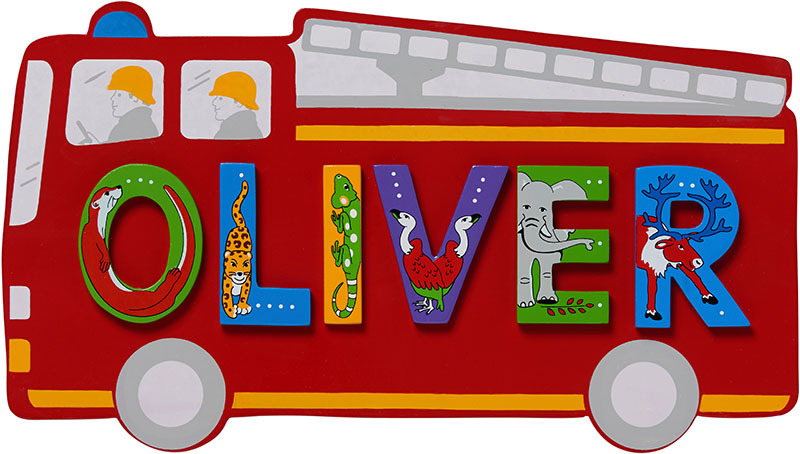 If your little one loves fire engines, this is the perfect decoration for their bedroom! New from Lanka Kade and designed to complement the new design of animal capital letters, an ideal present for all occasions. This exclusive design promotes self-awareness and develops vocabulary. Personalise your plaque by choosing from our range of letters and add them to your basket! (maximum of 6 letters). 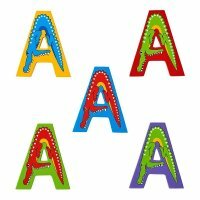 We recommend the new Animal Capital letters with this plaque, letters are £1.25 each, if you have your own letters we can send you a blank name plaque. This plaque comes with pre-applied double sided sticky pads ready to stick to smooth, flat, walls and doors - do not place above a child's sleeping area.